FORZA 4, one of the most anticipated games in the Xbox and Windows 10 line-up, has officially gone gold, meaning it is ready for launch. Early access begins on September 28 for Ultimate Edition owners, while the global launch begins on October 2. Playground Games is officially launching the Forza Horizon 4 demo worldwide today. Its also announced the Best of Bond Car Pack as the Day One Car Pack for Forza Horizon 4. 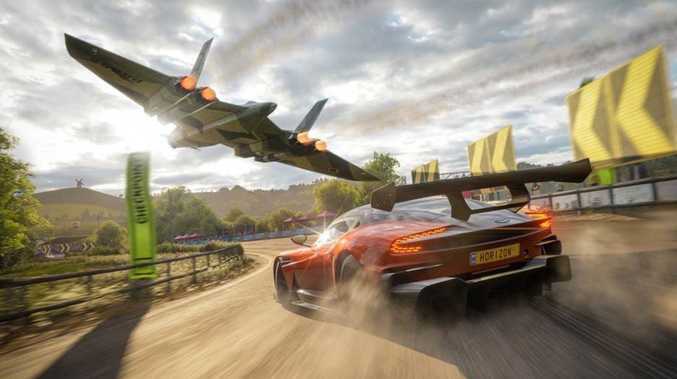 The pack is included as part of the Forza Horizon 4 Ultimate Edition. Players will also be able to purchase the Best of Bond Car Pack separately at the global launch of the game on October 2. The Best of Bond Car Pack features 10 cars from the James Bond films, including Goldfinger (1964) and The Man With the Golden Gun (1974), Skyfall (2012), Spectre (2015), and more. The car list features modern classics like the BMW Z8 from The World Is Not Enough as well as a bevy of classic Aston Martin models, including the most-featured car in Bond film history - the Aston Martin DB5. Several of the cars in the pack will feature film-inspired gadgets that players will be able to view while in Forzavista mode. For example, the 1964 Aston Martin DB5 will feature numerous gadgets such as revolving number plate and extendable bumper rams. In addition, the Lotus Esprit S1 will feature a special body kit option inspired by the "Wet Nellie" submarine vehicle from The Spy Who Loved Me (1977). Players who own the James Bond Car Pack in Forza Horizon 4 will also receive some in-game Bond goodies, including two Bond outfits as well as six exclusive "Quick Chat" phrases for use in multiplayer. Take a tour of beautiful, historic Britain in the demo, which will give fans a healthy heaping of open-world gameplay to enjoy. Seasons change everything in Forza Horizon 4 and demo players will experience each of the four unique seasons in the demo. From the ice and snow of winter time to the blazing summer heat, each season has its own charms and challenges. With Forza Horizon 4 launching with more than 450 cars, the demo will feature a heavy-hitting line-up of vehicles just begging to be driven, drifted, pushed and punished around the roads and trails of Britain.